CENTARA Hotels & Resorts, Thailand’s leading hotel operator, is focusing on three key initiatives as part of the company’s recently announced 2019 Sustainability Plan: eliminating single-use plastic products; reducing its food waste footprint; and expanding its support of local farming and produce-growing communities. 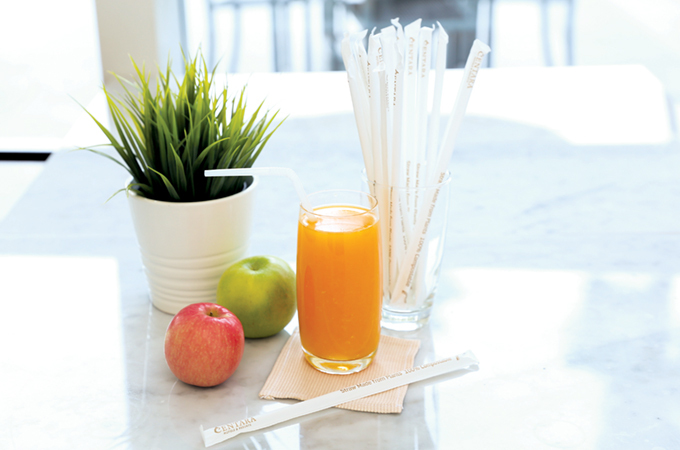 The elimination of single-use plastic items by end of this year is part of the Centara Earth Care programme aimed at encouraging hotel guests and tourists to be proactive about energy saving, waste reduction and sustainable environmental tourism. The sustainability plan covers five types of single-use plastic items, including drinking straws, laundry bags, take-away food containers, fitness centre and poolside plastic bottles, and plastic guest room amenities. They are being replaced with items made from materials designed to minimise environmental impact. Centara’s new and continuing food-related sustainability initiatives include further reducing food waste and minimising each property’s carbon footprint with expanded purchasing of fresh local foods from herb, fruit and vegetable growers; making same-day donations of surplus food to charities located near each property; providing local farms with pre-separated organic waste for composting; and transforming waste at select properties into biogas fuel, a blend of mostly methane and carbon dioxide gases which can be used in place of fossil fuels. Last year, Centara supported the Bangkok-based foundation Scholars of Sustenance (SOS Thailand) by making same-day donations of more than 28,000kg of quality surplus food. The donations provided over 86,000 servings to those in need, while the reduction in Centara’s food waste saved over 54,000kg of GHG equivalent emissions. Both Centra by Centara Maris Resort Jomtien and Centara Grand Beach Resort Phuket have biogas machines on-site capable of converting 30kg to 100kg of organic waste each day into an equivalent number of litres of organic compost and biogas comparable to nearly five kg/day of LPG fuel. The company attributes much of its carbon footprint reduction to making approximately 70 per cent of total produce purchases from local sources. Beyond the economic benefits to the community, expanding farm-to-table dining enables each property to provide the freshest available food items to guests.